Just like in any other topic in life, dentistry also has many myths that could affect your dental health. It’s very important that we dispel this misinformation to prevent dental problems or worsen some that already exist. Brushing your teeth with hard bristles is better to clean them. FALSE! While the hardness of your toothbrush is a mostly a personal choice hard bristles are known to damage the gums and produce swelling, specially if you brush too strongly. There’s no such things as too much oral hygiene. While dentists will definitively ask you to brush your teeth twice or thrice a day, complementing it with floss and mouthwash, any more than this could actually wear down the enamel of your teeth! The enamel is the protective outer layer of your teeth and cannot be regenerated. If you have several meals through the day, an alternative would be to rinse your mouth with water and use a toothpick to get rid of any food debris left over until your next big meal. There is no difference between an electric brush and a manual toothbrush. FALSE! Electric toothbrushes have the ability to remove a greater amount of plaque and bacterial plaque because of the movement it generates. Chewing gum is bad for your teeth! Kinda false. Gum is a problem for people with dental prostheses because they can get stuck, but overall, as long as it is sugar free you shouldn’t have problems, and might actually help you generate more saliva. Baby teeth aren’t important so there’s no need to worry. FALSE!! If you have children, you need to be aware that if a young child presents dental decay, this problem is likely to “jump” to the new teeth. Remember, cavities are created because of bacteria that live in the surface of the teeth and gums and feed on our left over food. Without the proper hygiene you could be dooming your child to a lifetime of dental problems, lack of confidence and more. Dental prostheses are forever. In this regard permanent prostheses does not mean “forever”. They will wear out with use (even your teeth wore out!) but they should last a long time. Is necessary to wash them daily as well as carry out a series of yearly professional care. 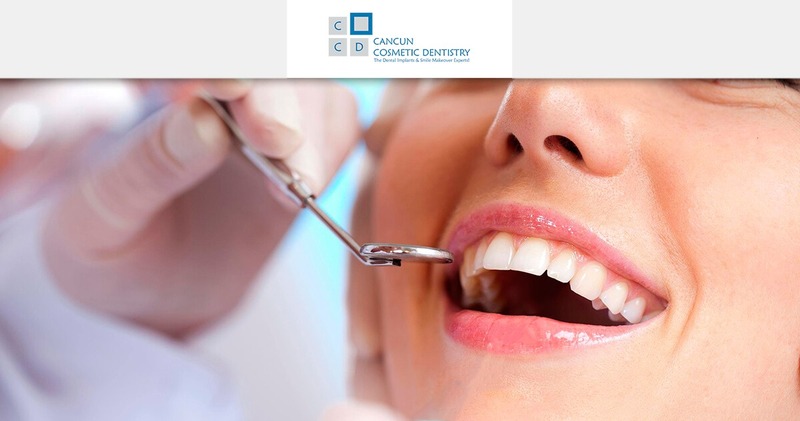 A good experience with dentists in Cancun Cosmetic Dentistry! Cancun Cosmetic Dentistry Review - We will recommend to our friends! Another Cancun Cosmetic Dentistry Happy Patient Review!